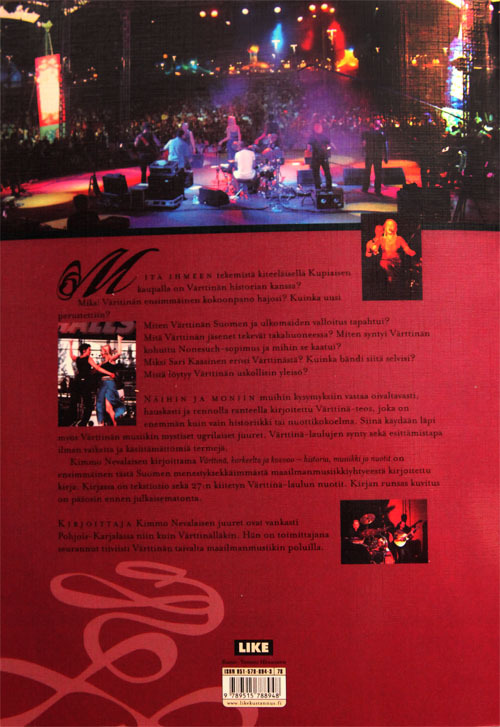 “Korkeelta ja kovvoo” (“High and Loud”). Original Release Date: 2001 (LIKE). A 176 page b&w paperback book written by Kimmo Nevalainen. Includes history, music notation (with lyrics), photos, and more. 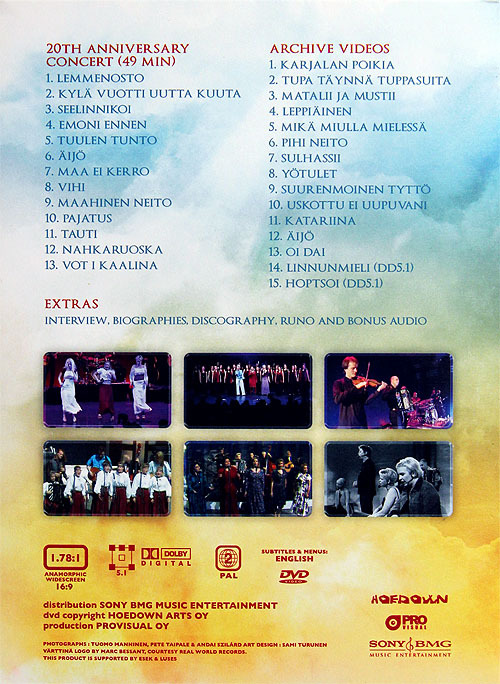 Text is in Finnish but the music notation to 27 songs can be useful for anyone interested in learning to play or sing Värttinä songs. “Mierontiellä ja punaisella matolla”. 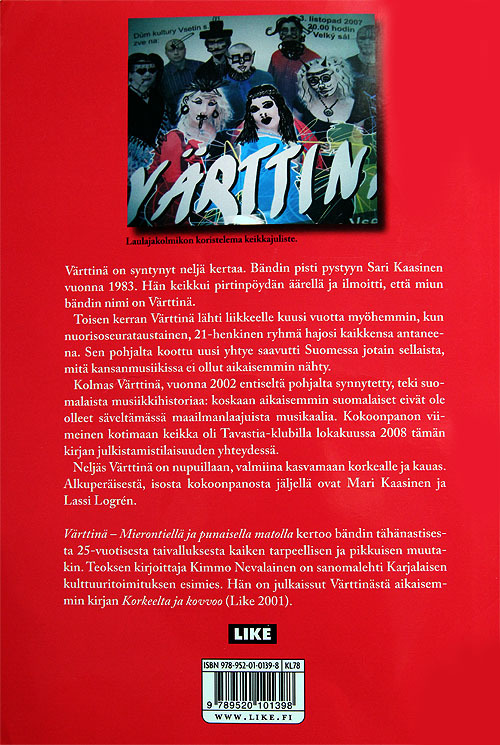 Original author Kimmo Nevalainen has written the new book, in Finnish language, bringing the account of the Värttinä story to the present day. It stretches over 250 pages and includes unpublished fotos, discography, concert listings and more. 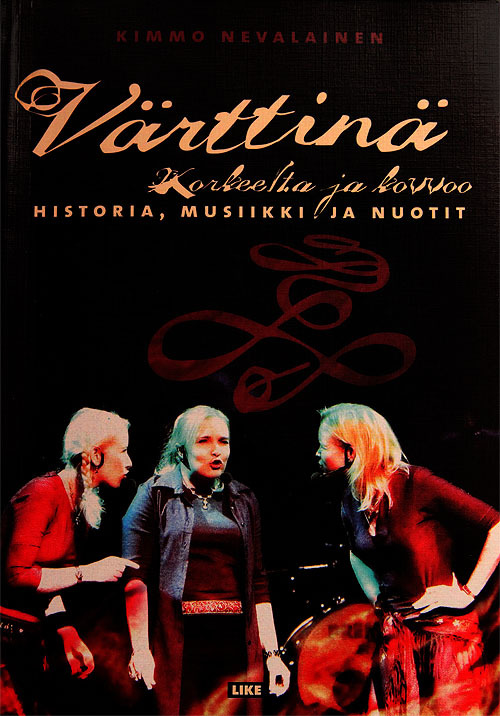 There is also english version of that book called “Värttinä – On theWanderer’s Road and the Red Carpet”.